Skor candy pieces blended with fudge and creamy vanilla soft serve. 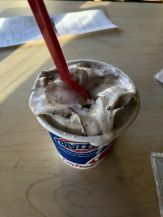 If I can't get my mint Oreo, I will always opt for the Skor blizzard. 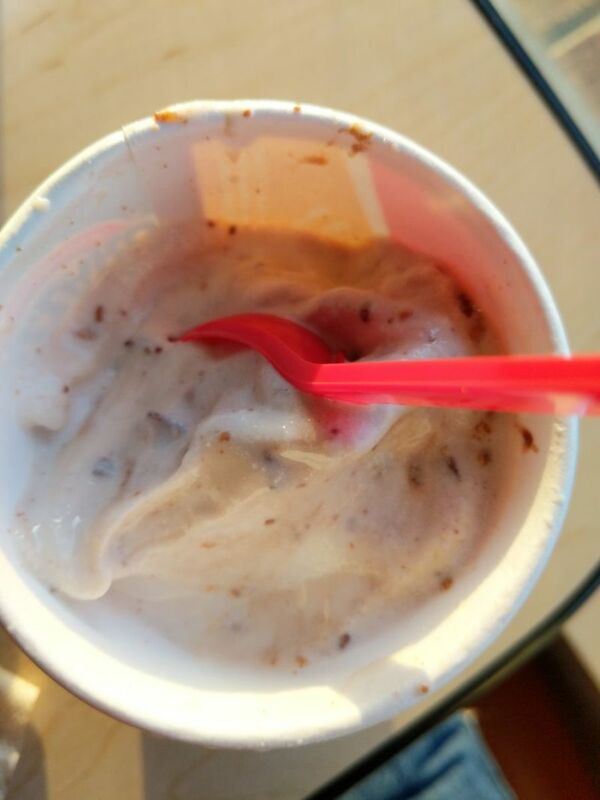 I like the clean and simple blizzard options. I always ask for this without the fudge so it's just vanilla ice-cream and Skor bits. Love the texture of the Skor bits...better than the texture of the Oreo pieces actually. 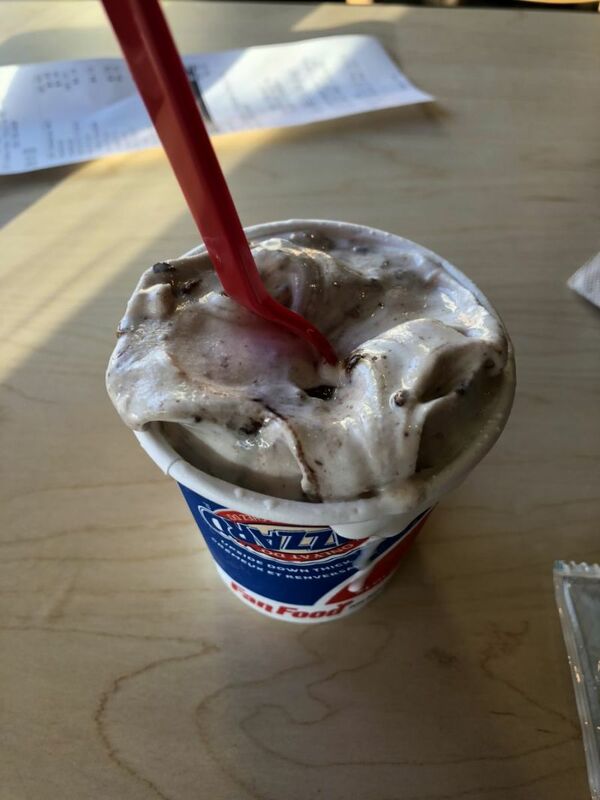 Skor is a classic! My favourite for over 30 years! !